An Chonair. On the Conor Pass near Dingle. 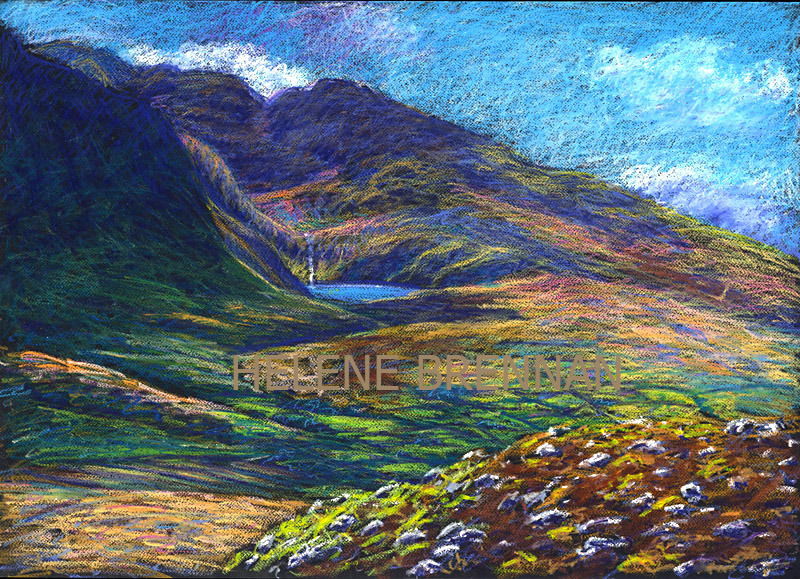 The beautiful lake, Loch na Lice, nestles in the side of Mount Brandon. Limited edition prints only, unframed for easy posting. Framing available. Please enquire.